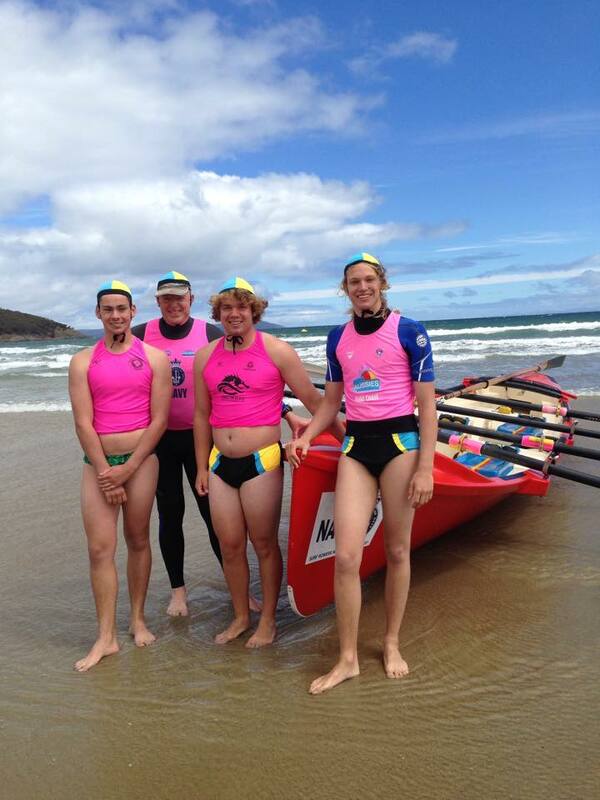 Surf boat racing is one of the most spectacular events in Surf Life Saving competitions. Each surfboat is manned by four rowers and is steered by a sweep. Crews compete head to head racing from the beach, rowing through the surf into open water and turning at a designated set of turning buoys or cans. After rounding the cans, the crews race back to the beach each keeping in their lane or alley. As the surfboat nears the beach the aim is to catch a wave and surf to shore whilst the sweep steers the boat to keep it upright and on the face of the wave. Surfboat races are conducted on a weekly basis throughout the Australian summer and hundreds of boat crews take part.